This month I purchased some real nice (the best?) woodwind samples. After getting several brass libraries from Vienna Symphonic Library last year I had to have these woodwind libraries as well. Just with any ordinary musical instrument, you have to learn how to use it. After I learned the right technique for this virtual instrument (i.e. programming keyswitches, updating templates, making and saving patches and presets) it was time to actually learn how to play it. Since I had the time to properly familiarize myself with all these new samples I decided to compose a short woodwind piece and program it with my freshly bought samples. Rather than fiddling around with the samples in my DAW (Logic) and evolve this into a track, I thought it would be better to make a composition without playing the samples. In this way it was likely to force myself programming certain articulations I asked for with my composition that probably aren’t that easy to come up with initially. Thus I would learn more about the capability of the software. 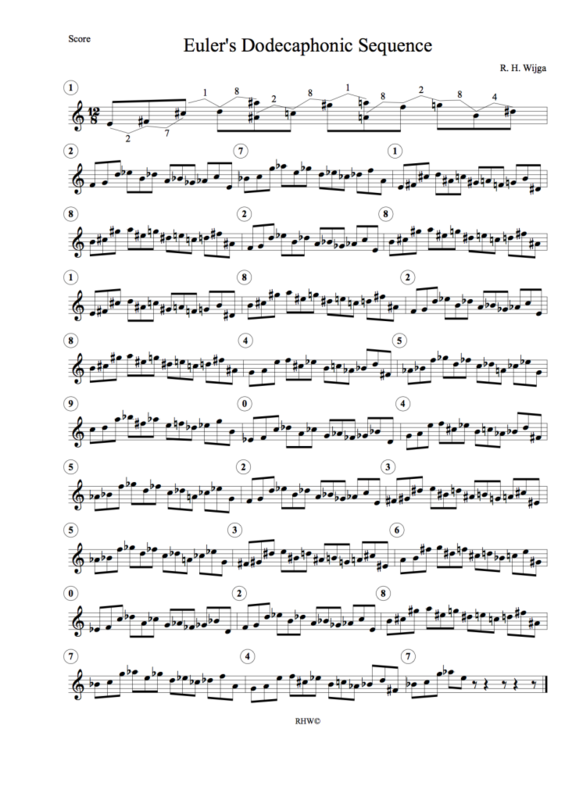 I opened my notation software (Finale) to start composing and choose my formation to work with: 1 flute / piccolo, 1 oboe, 1 Bb clarinet, 1 bass clarinet and 1 bassoon. One solo instrument for each sample library I got. I figured it is better to judge and learn the samples when working with single ‘naked’ instruments instead of a big orchestra with multiple players per section. In the early stage of the composition I felt the need for some more spice, so I added 1 percussion player (snare drum + castanet) to the woodwind quintet. Now for the genre of the piece I liked the idea of not using beautiful rich chords and harmonic progressions while this could distract my main goal: evaluating the samples. Hence I decided to go with the twelve-tone technique (dodecaphony), a composition technique I really like. And quite appropriate to use with this Vienna Symphonic Library, since this tenchnique is linked to the ‘Second Viennese School’. I went with a tone row I made some years ago already, based on the irrational number e (Euler’s Number). 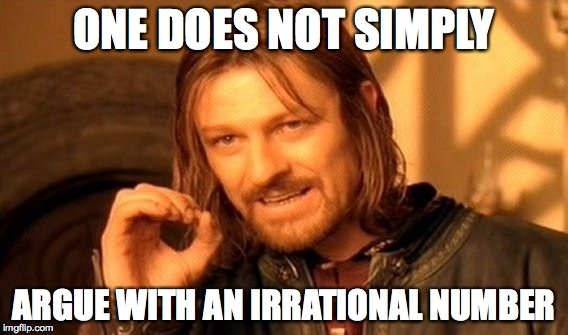 I find math and (irrational) numbers interesting and I like to make rules with it to restrict myself in composing. It may sound that it gets unnecessarily difficult this way, but for me the contrary is true. There are fewer options possible, so I am able to go in a certain directions quicker and easier (or maybe it’s just a matter of justifying the choices I make to myself). Back to ‘Euler’s tone row’. Let me explain what I did. I wanted to make a twelve-tone row whereby the 11 intervals correspond to the first 11 digits of e (2,7182818284). I didn’t know if it was possible, but there was only one way to find out. After a lot of puzzling around it was safe to say it is possible! This is the row I came up with. Of course I decided that the first row (N1) had to start on an e.
Purists could say the last 3 notes form an augmented chord and are therefore not allowed, but one does not simply argue with an irrational number. I didn’t want to give myself too much freedom, so I sticked to the prime row and didn’t use any inversions and retrogrades. For the continuing rows I used Euler’s Number to determine the transpositions. I interpreted N0 as N1 minus 1, which resulted in N12. Here are all the rows (and notes) I used. I purposely ended the piece on e as well. So at this point my ensemble and all my notes are fixed. I made one last restriction to be sure I wouldn’t get too much freedom. Since I permitted myself to add percussion, I made the rule that the percussionist can only play groups of notes corresponding to the digits of e (If this is unclear to you, just check the final score). This is the end result. If you compose with such limitations and still want to write interesting music, it forces you to focus on the remaining not-restricted elements and to approach everything meticulously. Furthermore, it can really trigger your creativity and bring you in situations you wouldn’t be in without restrictions. While composing with this tone row and these fixed notes for example, I noticed I got a renewed appreciation for intervals. Something so common in music, you would almost forget what you can really do with it. This is exactly why I like giving myself challenges like this. As for the production of the track, there are a couple of things I want to point out. The positioning of the players in a (virtual) room is fairly important, especially with a small ensemble like this one. You don’t want the feeling the six players are stacked on top of each other. I chose to take the setup of the most common wind quintet (flute, oboe, horn, bassoon, clarinet) and placed the bass clarinet on the horn position. This way I have the bass sound coming from the centre, just like in most pop, dance and metal. I positioned the percussion player virtually behind the woodwinds as I couldn’t imagine a standing percussion player right between five seated woodwind players. Using a suitable reverb is also key for situations like this, although I didn’t do anything surprisingly here. A convolution reverb of 1.8s with a soft tail gave the right room and atmosphere for me. When I was done mixing and programming the reverb and midi tracks for the VSL instruments as realistic as possible, it still lacked something crucial. Something I feel that should come as a part of the sample library. Breathings. Breath sounds (among other soft noises) are indispensable for a real, human and lively vibe and are a great way to anticipate tension and cadence. So I grabbed a mic, recorded my own in- and exhales per wind instrument, panned them accordingly, and it instantly sounded more realistic! A nice trick to keep in mind. What started out as a sample test I wanted to share, ended up as a mini composition-production. And I don’t mind about that. I got to know the VSL samples and it wasn’t my intention of writing a review about the sample library anyway. Nevertheless I will mention I am happy with these comprehensive VSL samples although there are some shortcomings (as with every sample library), but with reasonable workarounds and alternatives.